The name of this article may be improper for Wikipedia. To meet Wikipedia's quality standards, this article may need to be moved to a better name that matches the subject. The current name may violate one or more of Wikipedia's naming conventions, or is otherwise inaccurate. Please see the discussion on the talk page. The Polish Sportspersonality of the Year is chosen annually since 1926 by the readers of the newspaper Przegląd Sportowy. 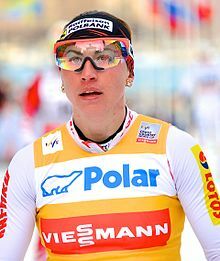 Record holders are track and field athletes Irena Szewińska and Stanisława Walasiewicz, and ski jumper Adam Małysz - four times each; cross country skier Justyna Kowalczyk is the leader - five times. This page was last edited on 8 March 2019, at 20:56 (UTC).